The Kurdistan Workers’ Party (PKK) uses weapons sent to the terrorist organization by the U.S. to attack Turkish troops. Since 2014, the U.S. has continued to arm the PKK under the guise of fighting Daesh, delivering 3,500 trucks to the terrorist organization. The U.S. sent 120 trucks of new weapons and ammunition to the organization on Wednesday. In addition to armored vehicles and ammunition support, the U.S. has trained more than 30,000 PKK terrorists with American experts. Some of the weapons delivered to the PKK in the last four months period were directed toward the Turkish Armed Forces (TAF) and Free Syrian Army (FSA), some were sent to terrorists of the organization in Iraq’s Sinjar and Qandil. The terrorists, which occupy two-thirds of the 130-kilometer border between Turkey and Iraq, use U.S.-supplied camouflage materials, advanced digital tracking systems and guided missiles. American officials who assisted the terrorists with weapons and ammunition claimed that the supplies would not be used against Turkey. 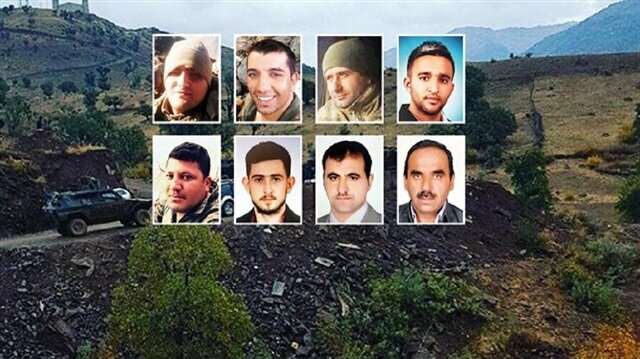 However, PKK terrorists have martyred Turkish soldiers with weapons from the U.S. The PKK -- listed as a terrorist organization by Turkey, the U.S. and the EU -- resumed its armed campaign against Turkey in July 2015. Since then, it has been responsible for the deaths of more than 1,200 Turkish security personnel and civilians, including a number of women and children. Six soldiers and two village guards were martyred in fighting with PKK terrorists who used U.S.-made AT-4 anti-tank weapons in the southeastern province of Hakkari on Thursday. 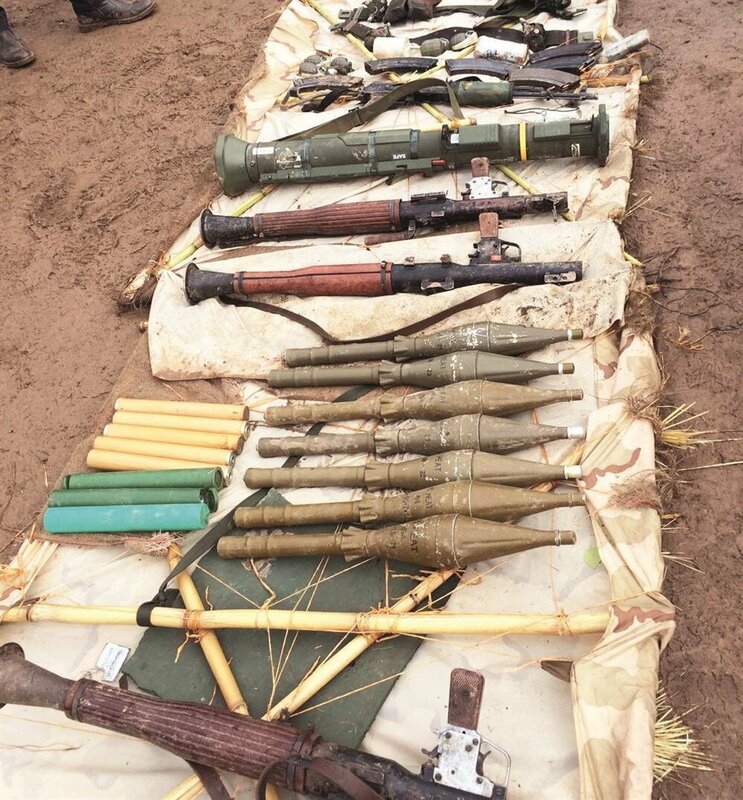 Five terrorists were killed in the clash, and one AT-4 anti-tank weapon, three RPG-7 anti-tank grenade launchers, and five specially made umbrellas were seized. Two soldiers, one of whom is seriously injured, were wounded in the attack. 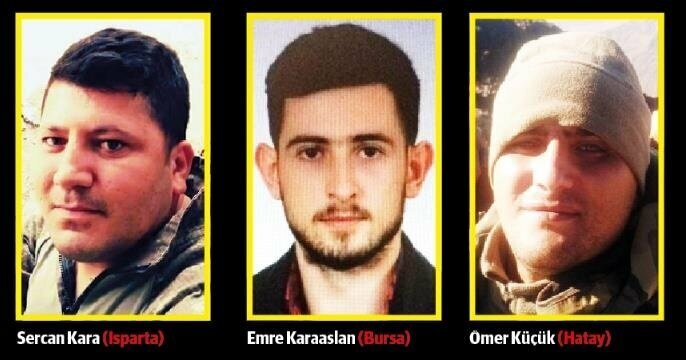 Specialized Sergeant Gökhan Kurak, contracted soldiers Sercan Kara, Emre Karaaslan, Ömer Küçük, Erhan Karaca and Tayfun Kavun, and village guards Osman Yeşil and Alaattin Tekin were those martyred in the attack. Gunfire broke out as terrorists were crossing the border near the village of Ortaklar under heavy fog and bad weather conditions. Specialized Sergeant Gökhan Kurak (28), who was martyred during the clash in Hakkari’s Şemdinli district were trying to escape to northern Iraq, was due to finish his military placement in eastern Turkey six months after being stationed there since 2014. Contracted infantry soldier Emre Karaaslan (24), whose family resides in Bursa, started his military duty in March of this year. He had recently married, and was martyred on Thursday. Contracted infantry soldier Sercan Kara (26) was inducted to another post in İzmir, but insisted on remaining in his position in the Hakkari region. 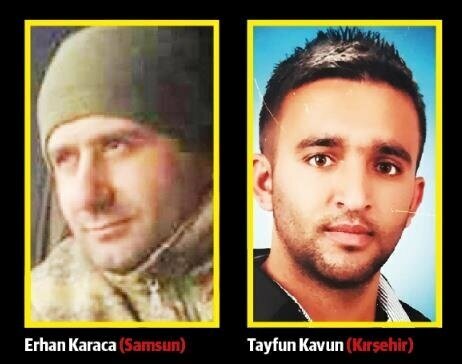 Kara had been stationed in Hakkari for four years, and was quoted as saying “I will not leave until I take my brother’s revenge” about his friend who was martyred near him as he received a temporary assignment in Hakkari. Alaattin Tekin (L) and Osman Yeşil (R). 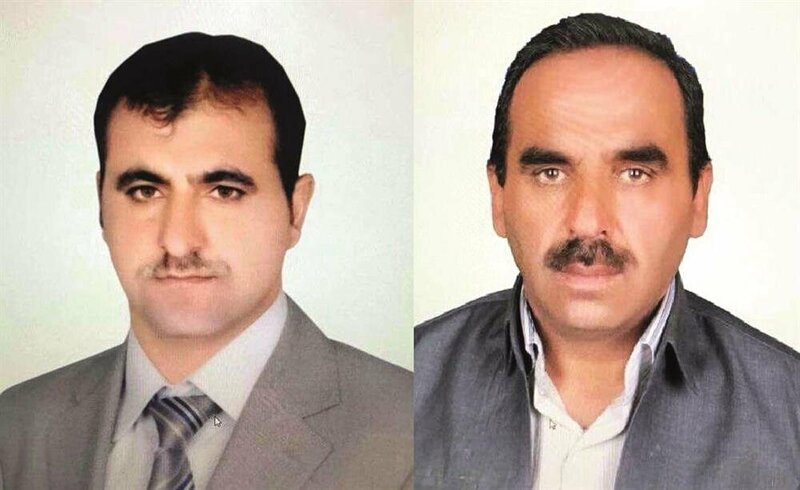 The village guards martyred in Thursday’s PKK attack which used U.S. weapons were Osman Yeşil and Alaattin Tekin. Their families rushed to the scene of the clash as soon as they received the news. Following a ceremony in their honor, they will be buried in Toklu Village. At least 46 PKK terrorists have been killed in military operations in eastern Turkey, the Interior Ministry said on Thursday.In another revised statement, the ministry said 26 terrorists were killed in the Semdinli district of the southeastern Hakkari province, while nine others were killed in the Nazimiye district of the eastern Tunceli province.Eleven more terrorists were killed in the southeastern Sirnak province, it added.The Turkish General Staff also confirmed in a later statement that 11 PKK terrorists, who were preparing for an attack, were killed in two separate air raids in the Bestler-Dereler rural areas of the Sirnak province.The Turkish army said those killed in the Semdinli district were trying to escape to northern Iraq.The PKK -- listed as a terrorist organization by Turkey, the U.S. and the EU -- resumed its armed campaign against Turkey in July 2015.Since then, it has been responsible for the deaths of more than 1,200 Turkish security personnel and civilians, including a number of women and children.